The Movement for the Actualization of the Sovereign State of Biafra (MASSOB) believes that Nnamdi Kanu, the leader of the Indigenous Peoples of Biafra (IPOB) cannot renounce his group’s demand for an independent state of Biafra. 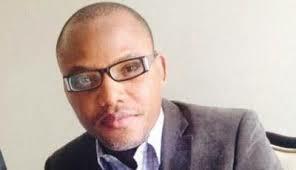 In a statement by its leader Uchenna Madu, MASSOB says they don’t see Nnamdi Kanu betraying his belief on Biafra. The statement read: “MASSOB does not see Mazi Nnamdi Kanu as one who can betray his belief on Biafra, he is not a sell-out, his ideologies on Biafra may differ, he can never betray hundreds of Biafrans that died recently on the course of Biafra. “Secondly, Biafra is not a religious faith that can be renounced or abandoned. Nobody can renounce Biafra, it is an identity, culture, tradition and existence of group of nationalities, it’s not personal or individualistic. “There are thousands of Biafranistic persons more determined, consistent, dangerous, focused, and unshakeable than Nnamdi Kanu, Uchenna Madu and other leading figures in the Biafra struggle. “Biafra is also bigger than all the leading figures put together. 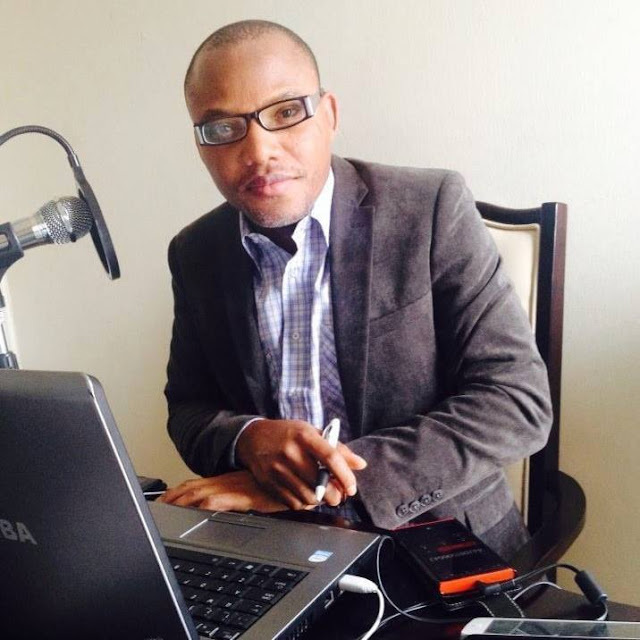 “It is childish on Federal government to expect Nnamdi Kanu to renounce Biafra, the fate of over fifty million people. “MASSOB advises Buhari to save his battered Nigeria’s face from more diplomatic shame by allowing the court to grant Nnamdi Kanu and others bail. A progress report on the dialogue between the Movement for the Emancipation of Niger Delta (MEND) and agents of the federal government, at the weekend, said an arrangement was being worked out for Kanu’s release from prison custody by the federal government if he renounced his Baifra agitation. But Presidential spokesman Garba Shehu could not confirm MEND’s weekend claim. Shehu said the government had not received the report of the talks from those it authorised to discuss with MEND.